Apple’s stunning new store in Hangzhou China is drawing raves, even though no one has seen what it’ll actually look like. 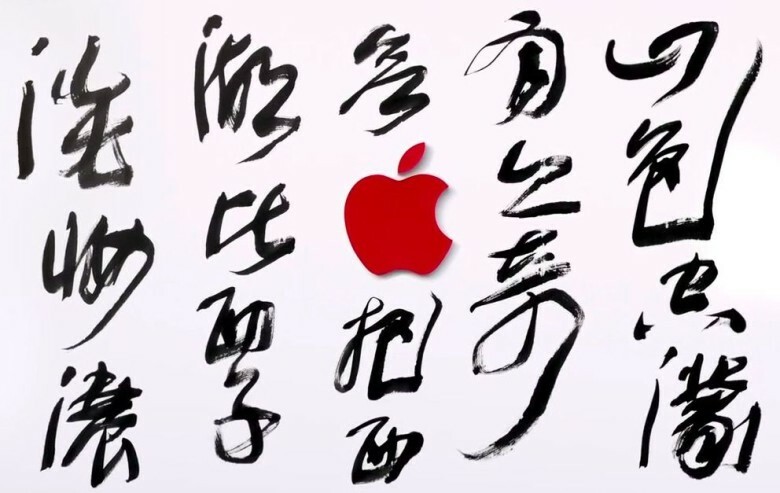 The outside of the store has been covered with a giant Apple Store sized mural during construction, only instead of throwing up another boring white box, Apple teamed up with famous calligrapher Wang Dongling to create a beautiful poem on the outside. To celebrate the upcoming West Lake store, Apple published a video today going behind the scenes with Dongling and his creative process for creating the artwork on the store. Dongling is renowned for his experimentation in merging Western and Chinese forms to push calligraphy in a new direction.